A small selection of my clients. I also regularly donate my photographs of natural disasters to the Japanese Red Cross and a few selected other NGO’s. I don’t only shoot myself, but also offer a fast growing collection of photos and graphic material of Japan between the 1870s and 1930s. This material is widely used in newspaper and magazine articles, TV programs, packaging and even on covers of books. You are only limited by your imagination. 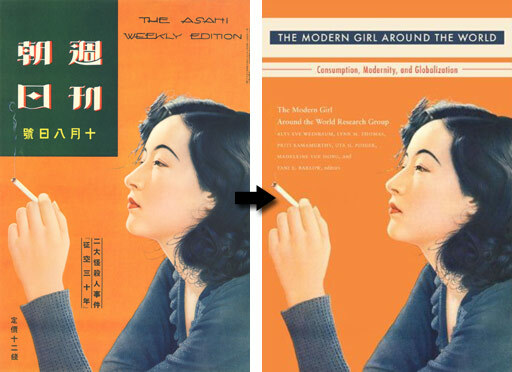 An image from the Kjeld Duits Collection (70508-0003) used on the cover of The Modern Girl Around the World: Consumption, Modernity, and Globalization, published by Duke University Press in 2008.